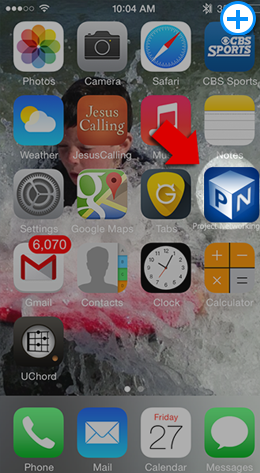 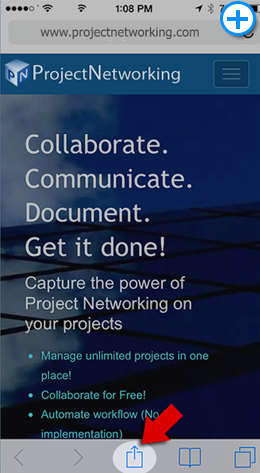 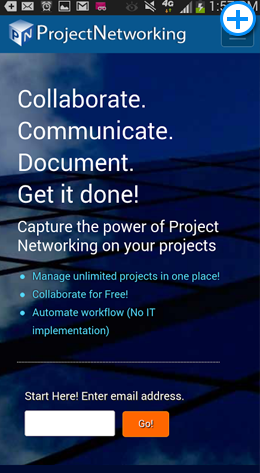 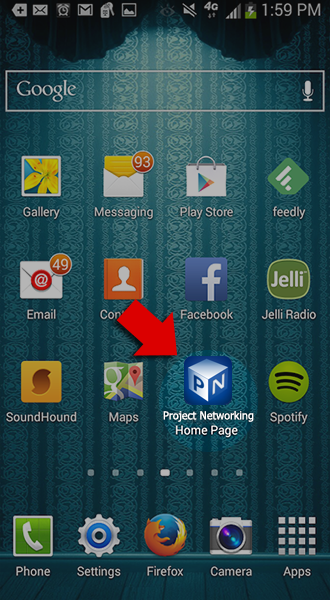 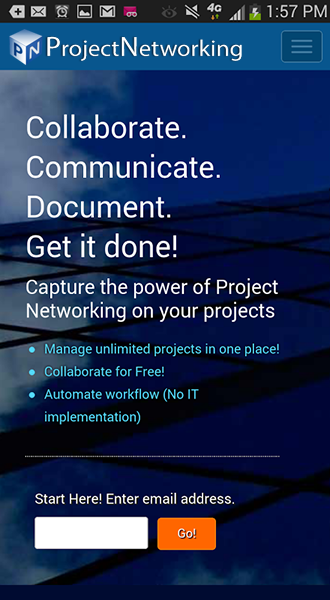 Navigate to www.projectnetworking.com in your browser and tap the highlighted icon. 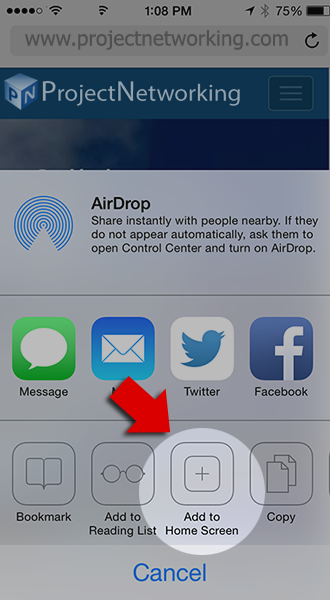 Now tap the "Add to Home Screen" icon. 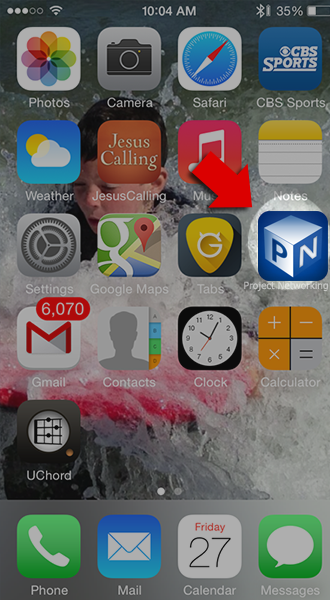 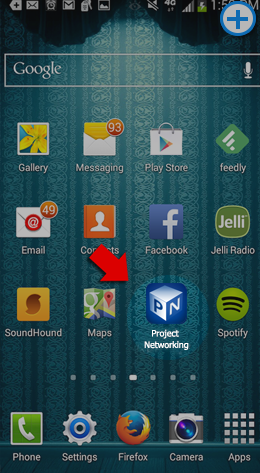 The ProjectNetworking icon will now be on your home screen. 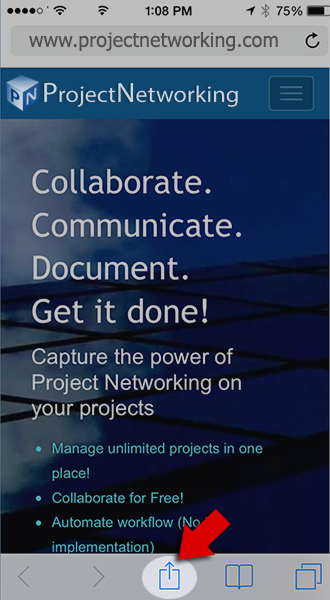 Navigate to www.ProjectNetworking.com in your browser. 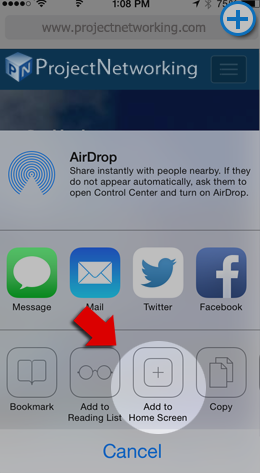 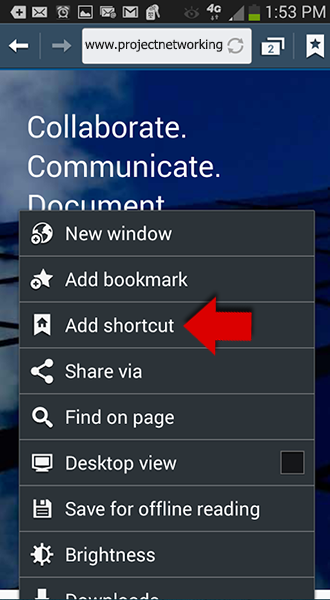 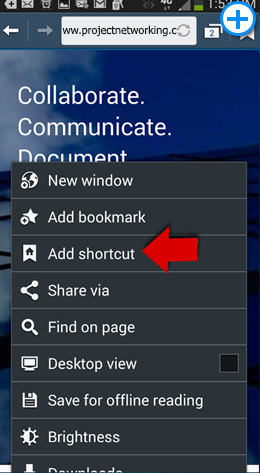 Tap the "Menu" icon on the screen footer and select "add shortcut"